Children will discover the magic of spring focussing on nature and plants, with gardening, chocolate, and Easter eggs on the menu!! The classes will be led by the best native, highly-qualified and experienced French teachers. Please note that lunch à la française is included in the price. All children are welcome, regardless of their level of French. Bricks 4 Kidz LEGO® Easter Camps have been designed to engage children in learning’s of Science, Technology, Engineering & Maths (STEM) for girls and boys aged 5-12 years in a fun and entertaining way. Guided by our experienced teachers, children will enjoy using LEGO to build specially-designed Bricks 4 Kidz motorised models, while also learning the principles of STEM. Themes such as Super Heroes and Jurassic Park guide the programme for the Classic Brick Builders while Builders get their creations moving with motors and gears completing LEGO® technic models all of which have been designed by architects & engineers. As well as their Lego themed camps, Summer camps will include July Provision week, Junior camps aimed at younger builders as well as Robotic camps for the older children. For further details, contact Joanne on jhartnett@bricks4kidz.com or call 01-6855700. At Astropark your child will get the best of both worlds with fantastic soccer coaching along with the fun of multi-activity games and bouncy games. Soccer coaching includes: Dribbling Skills, Passing Skills & Shooting Skills. Other activities include: Astrobounce target zone, obstacle course, bouncy football, bubble football, NERF Wars, kick speed radar, Combat Archery, basketball, unihoc, sports day style races etc. (some activities are age restricted). Venues in Tallaght and Coolock. Pembroke Fencing at St. Conleth’s College, Ballsbridge. These camps are suitable for children and teens, boys and girls who have never experienced fencing before as well as for those who have some basic fencing knowledge. Each class is taught using plenty of games to improve speed and co-ordination, develop specific fencing skills and tactical thinking. Kids learn fencing blade and footwork, rules of courtesy during a fencing bout and refereeing skills – all of that of course while doing plenty of sword fighting! Classes are suitable for beginners and improvers and all equipment is provided. Bring lunch and a drink with you. The King’s Hospital Summer Camp includes the following activities: karate, swimming, athletics, soccer, tennis, basketball, archery, orienteering, hockey, tag rugby as well as some fun and games! All activities will take place on campus in their highly-equipped facilities. Easter Camps at Mezzo Music Academy, offer a wonderful opportunity for children to explore many different instruments over the course of the week. For ages 4 to 11, students are grouped in accordance with age, and will learn in small groups; keyboard, guitar, violin, recorder, ukulele, percussion and voice, each day. At the end of each week, students choose their favourite instrument and take part in a small performance for their parents. All instruments are taught by ear and with an emphasis on fun! At the end of each day, everyone comes together for group singing, where teachers play instruments and students sing a variety of songs from different genres. All camp teachers are fully qualified and experienced. Camp starts at 9.30am and finishes at 2.00pm. Bring a packed Lunch. 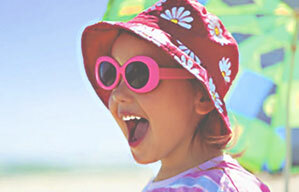 Columbus Club is providing ten action packed camps this Easter. Camp 3: Baking and Sewing/Knitting/Embroidery/Crochet: Camp 4: Junior Engineering, Lego & Science/Chess Camp: Camp 5: Computer Coding & Science/Maths/Engineering Camp (STEM): Camp 6: Animation & Art Camp (including Computer Animation): Camp 7: Film & Cinematography & Drama Camp: Camp 8: Creative Writing/Junior Toastmasters/Presentations: Camp 9: Irish Easter Camps: Camp 10: Spanish Camps. As always, Columbus Club provides 1:1 classes in Reading, Comprehension Work, Maths and Gaeilge daily over the Easter and Summer holidays. 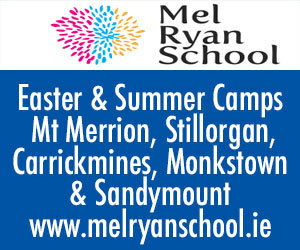 Mel Ryan started her school in 2011, with the intention of using the medium of the arts to teach valuable life and social skills such emotional intelligence, leadership, resilience, empathy, and communication skills through music, drama, dance and presentation. Two different styles of class are available – Musical Theatre & Hip Hop and Dream Believe Achieve. 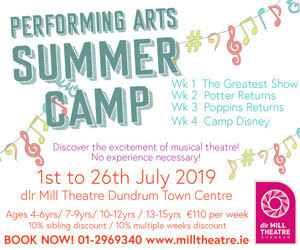 The Musical Theatre & Hip Hop is a fun-filled class which culminates in the children performing in the annual show in the Mill Theatre, Dundrum. The Dream Believe Achieve class is held in small groups and is more individually focused. This class has been wonderfully successful, particularly in working with shyness or anxiety issues. The school prides itself on its ethos – that of treating every student equally regardless of standard of performance with drama exercises being specially adapted to have a definite social skills and life skills learning outcome. All teachers are highly trained, professional actors and dancers who are equally passionate about teaching life skills. Some Examples of their activities this Easter include: EGGsperiments ! Floating egg, egg smashing, egg physics, walking on eggs!, Egg engineering. Science Camps are very hands-on and children get to make and take home something most days - including their own SLIME, FOSSILS, MODEL GLIDERS, RAINBOW GLASSES and MORE! They wear lab coats and goggles! There’s also lots of OUTDOOR Fun with Bug Hunts, Rocket Races, Dinosaur Digs! All camp leaders are experienced scientists, fully insured and Garda vetted. For Clubs, Super Whole School Science Shows, Science Hallowe’en, Easter & Summer Camps, Science Parties, Science Corporate Events, and Science Family Events & Festivals. Junior are a proudly Irish owned Company. 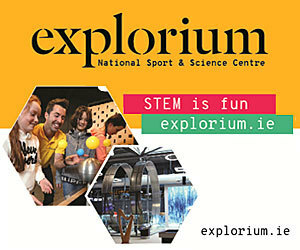 Our mission is to nourish a lifelong love of learning through Science in all our children ( 'Junior Einsteins' ), igniting their natural curiosity by providing, exciting, engaging, experimental practical STEM experiences, professionally delivered in a Structured, Safe, Supervised, Educational and Fun environment. Top Irish tennis coach and 3 time Olympian, Owen Casey is delighted to announce details of his Easter and Summer tennis camps at Mount Pleasant LTC in Ranelagh, weekly in April, June, July and August from 9.30 - 12.30pm for children aged 5-16. The camps will offer quality tennis coaching from basic technique to match tactics, for both singles and doubles in a safe and friendly environment. Fantastic Babolat goody bags for all. To request a brochure contact Owen on 087-2903161 01- 4999167 or email owencasey@iol.ie. Go and spend a week with them during the summer months learning new skills, making new friends and above all having fun and making memories in their brand-new adventure centre in Russborough House just 5km from Blessington. Activities to include both land and water activities. Little bear Camps Ages 5-7, Bear Ranger Camp Ages 8-13 & Bear Survival Camp Ages 13-17 which includes overnight camping on one night . Camps running all summer please contact us for details and brochure on info@cpadventure.ie or 087 4662252.